Of the 100 plus massage businesses in the Omaha, metro area how do you choose the right one? There are sole proprietorships where the owner is the massage therapist, and massage businesses with several massage therapists to choose from with various skill sets. There are medical and chiropractic clinics offering massage therapy services and even nail spas offering massage services. How do you navigate all these different businesses and find the right massage for you? We would love to have your business at Oasis Massage and Spa, and we are happy to tell you why we think we are the right choice. But whether you come see us, or go somewhere else, we want you to know what to look for when choosing a massage business. First and most important question; are their massage therapists licensed and/or certified? Nebraska requires massage therapists to be licensed and the location they practice in has to have an establishment license for massage therapy services. It’s important to know what type of massage education they have received and if it was from an accredited school. In Nebraska, massage therapists are required to have 1000 hours of education. Other states require 500-650 hours on average, while some states only require a certificate not a license. Additionally, you may want to ask how many years a therapist has been practicing massage. Not that new therapists are not good at their craft, but experience can give therapists more insight. Longevity can be a plus purely because they have worked on more bodies, seen a lot of different scenarios and met all types of personalities along the way. It is important to know what the location’s environment is like. Research online or look at their social pages for photos of the reception area and treatment rooms to help you get a feel for where you will be spending your time (and money!). It should appear extremely clean and well put together. You should know before going in what to expect. We advise spending some additional time online to see if they have a web page or social media page that gives information about the location, the massage therapists, photos, hours of operation or even a mission/vision statement. If you are still uncertain or have questions, give the establishment a call and ask. Massage businesses should be open and honest about their business and the people working for them. Any question about these things should be easy to answer. If no one answers the phone, or returns your voicemail, or if they are not forthcoming with this information, then toss them out as a place to consider becoming your massage home. At Oasis Massage and Spa we look forward to answering any questions you have about our establishment because we are proud of what we have created. 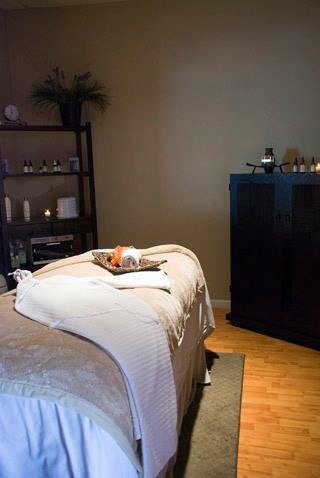 We have been in business for over 13 years and many of our massage therapists have been with us from the beginning. We love what we do and who we are. Keep your eyes out on our blog and Facebook page for profiles on all of our staff so you can learn about why they work at Oasis Massage and Spa, who they are as professionals and what their specialties are. We are committed to making it easy for you to know all about us. Until then feel free to give us a call at 402-964-2267, and we are happy to tell you about us and our team. What are the Benefits of a Couples Massage?